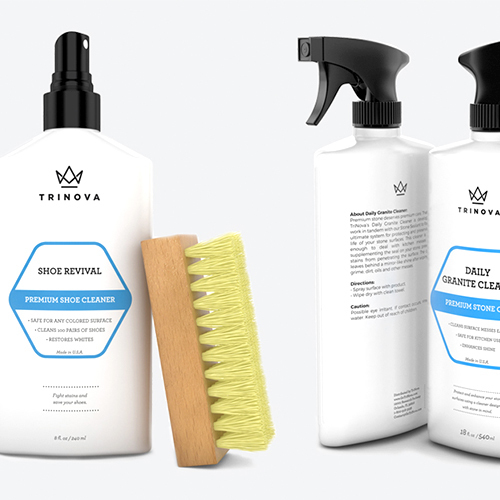 Trinova is a brand designed to be clean. Trinova is the brand of choice for people who take pride in their possessions and enjoy taking care of them. Whether it’s a classic car, a new boat, or a vintage Italian bag, these people use Trinova’s products to clean, protect, and maintain their prized treasures. Solid Branding was happy to design the Trinova brand identity and packaging. It was a pleasure working collaboratively with the team at Trinova and develop a brand design solution that is as clean and effective as their products.